Sample analysis using spark emission spectrometry usually requires at least two sparkings at various positions on the sample surface to ensure any inhomogeneities such as inclusions and blow holes are detected and a realistic average can be calculated. Since the sample has to be moved between the measurings, the total analysis time is therefore made up not only of the time taken for the sparkings but also the time for positioning and re-positioning of the sample. Across the years, the demand of further shortening of the analysis time has arisen – especially by primary producers as foundries and steelworks. In the beginning, we were able to fulfill this with higher pre-sparking energies and spark frequencies, but the physical limits are now hit. 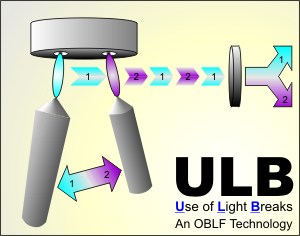 Therefore, OBLF has introduced a completely new technique which is as stunning easy as effective. 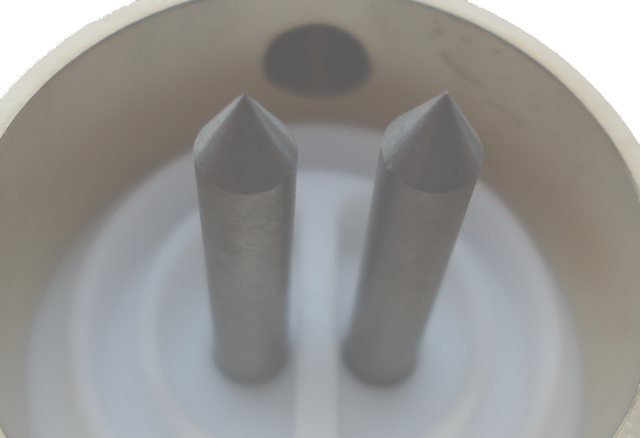 The time saving is not only limited to the re-positioning of the sample, but also the purge is only made once, as both electrodes are in the same spark stand. Additionally, by introduction of a new, high-performance excitation generator with higher frequency, it is possible to prespark both burn spots alternating without their plasmas influencing each other. The following exposure times (Exp.) are simply executed in rotation. 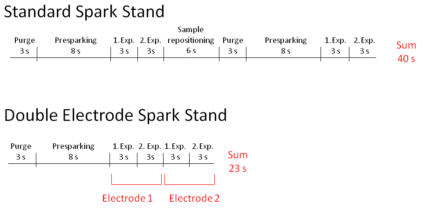 The following time schemes show the time saving by comparing the standard and the double electrode spark stand on example of a steel sample. Whereas a complete analysis including nitrogen takes about 40 seconds on a standard spark stand, it only needs 23 seconds when using a double electrode spark stand. The calculated concentration of both burn spots are displayed on the screen as separate sparkings, which are automatically averaged when inside the tolerances. This means: press start once, wait 23 seconds, analysis done. It´s as simple as that! The double electrode spark stand is available for our spectrometer models QSG 750-II, QSN 750-II and GS 1000-II. 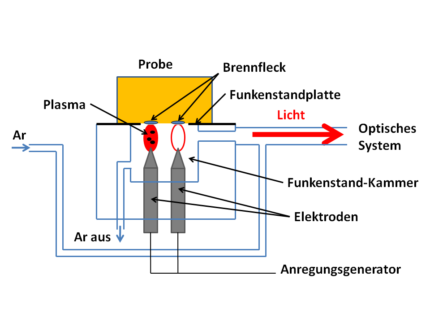 The analysis time is hereby further reduced to a total of less than 20 s.
In the meanwhile, this technique was successfully installed in iron and aluminium foundries as well as in steelworks.